The performance of the HD 7850 when it first came out, combined with its relatively low price tag, made for a very enticing mid-range card. That impressive start has only gotten better as time has moved on and the price has dropped ever lower. Once it dropped below £200 it was hard to really recommend anyone with a 1080p screen spending more. 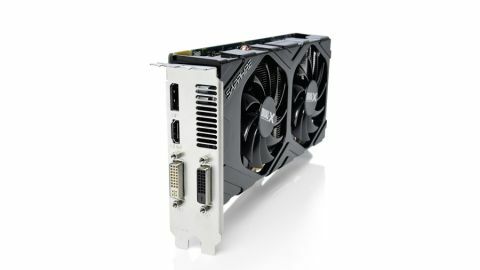 Now it's sub-£200 graphics card crown has slipped as its HD 7870 big brother has usurped the HD 7850's place by making itself a whole lot cheaper than it used to be. Still, at £150 you'd surely expect us to still be pretty taken with the HD 7850. And while it's still a great mid-range card, there has been one other sibling to make us take a second look. And that's the 1GB version of this GPU. You might expect the extra gigabyte of graphics memory to push this graphics card significantly ahead in the high-res benchmarks - but you'd be wrong. That said, you're not going to feel the fool for having one of these full-fat 2GB Pitcairn Pro cards in your rig. It falls a little short of the performance of the slightly pricier GTX 660, but only by a hair's breadth. In fact in some of the more compute-centric benchmarks - usually the domain of the AMD GPU - the HD 7850 pulls ahead. But still, in terms of value for money at least, the Nvidia cards are failing to deliver in this segment. The 2GB HD 7850 is still an impressive card, but it's the AMD family, both big and little brothers, that are pushing it out of the running.